I'm always looking for new ways to integrate technology into my daily classroom routines. Brainstorming ways to revamp "blah" activities into new and improved ones has become something I love to do. This time, I decided to switch out my old paper flashcards for digital ones. 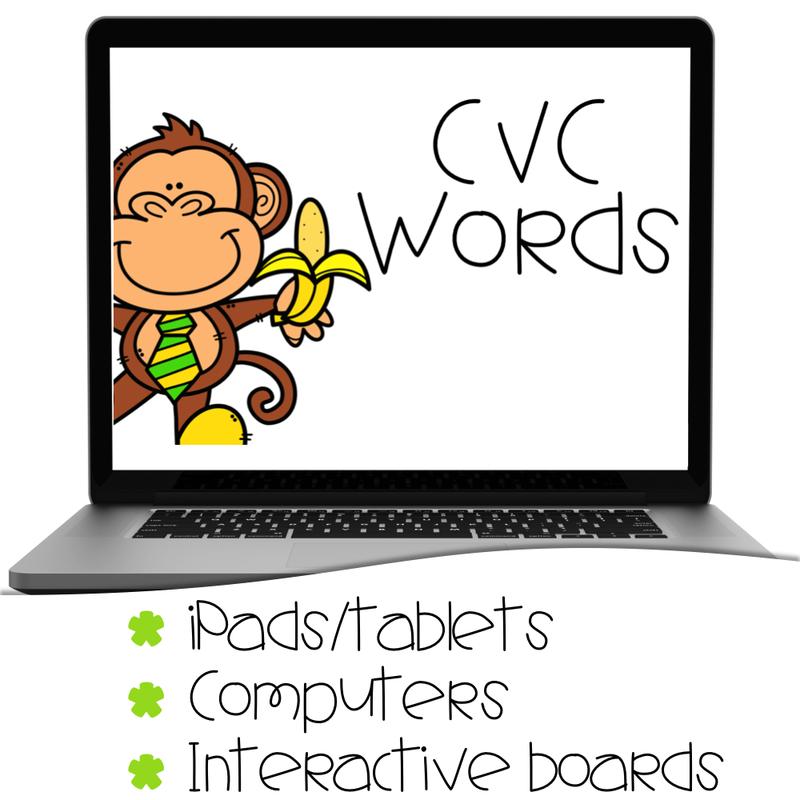 Why print, laminate, and cut flashcards when you can simply flash them on any device?? What I love most about this resource is that it can be used on ANY device (iPads, tablets, computers, and interactive whiteboards) since it is a PDF file. PDF readers can be downloaded for FREE on so many devices so this format makes it EASY for everyone! This resource is completely PAPERLESS and DIGITAL! I'm so excited about this because I love using technology in the classroom and this resource is SUPER EASY to use. Students simply choose the phonics sounds that they are working on and read the words on each slide. 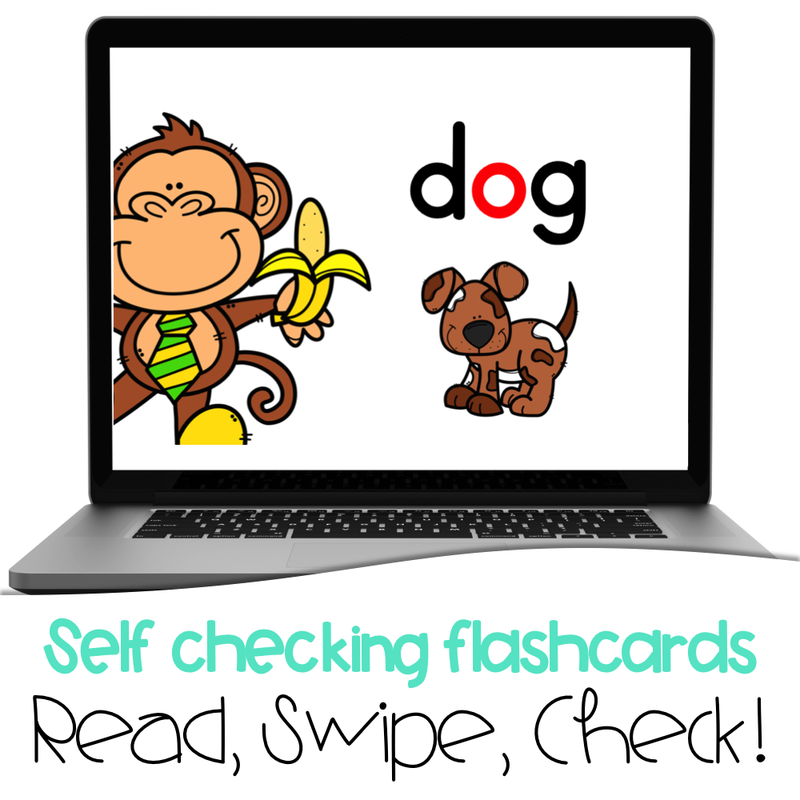 The best part of these flashcards is that they are SELF-CHECKING! Once the student reads the word, he/she can swipe (or click on a computer) to reveal the picture that goes with the word. This helps students check their reading independently! 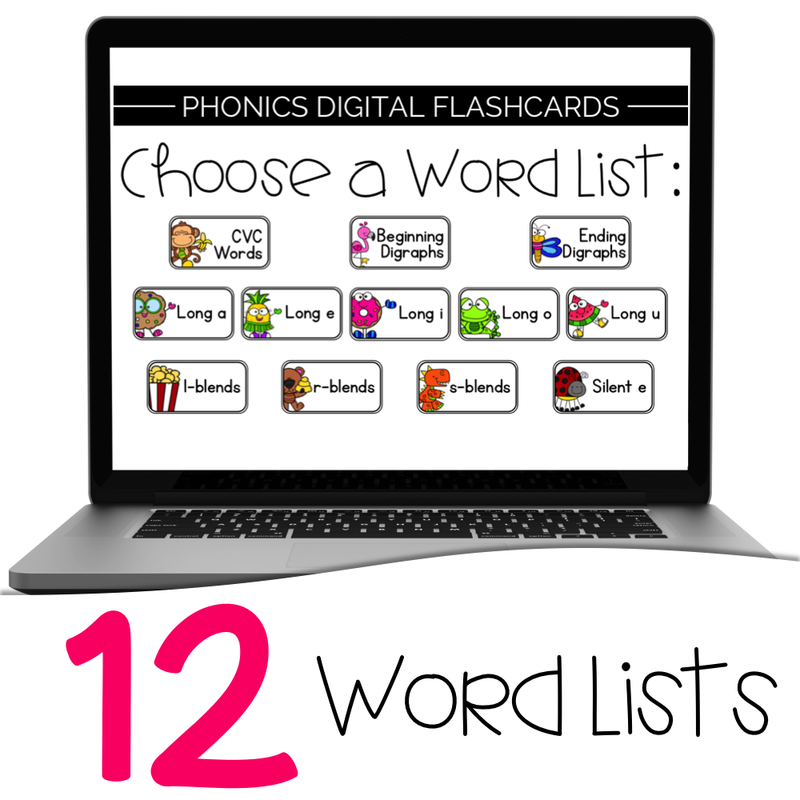 Each word list has approximately 30 words (long a, i, and o have a few less). 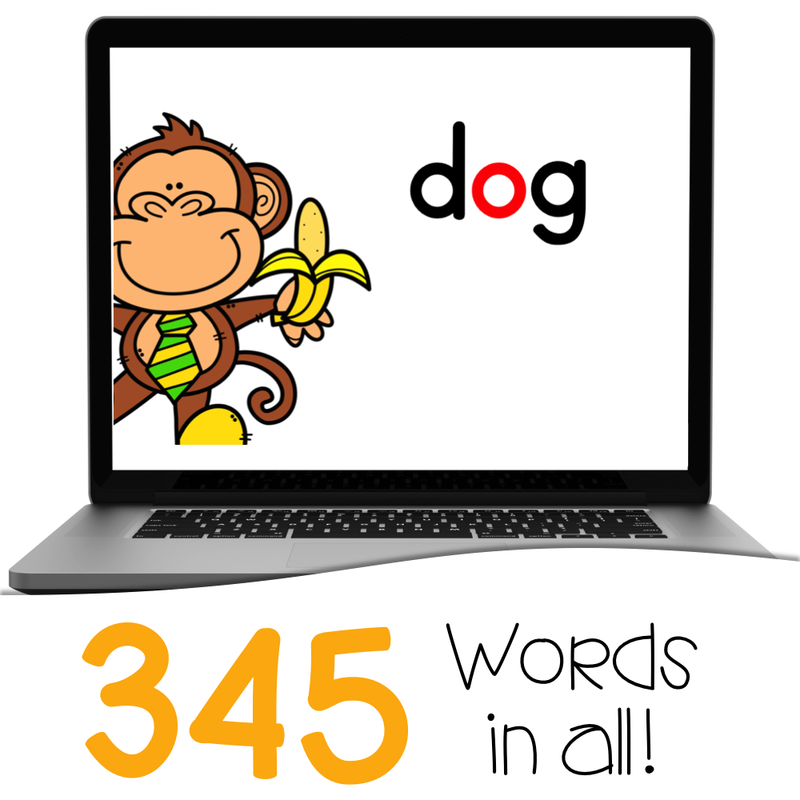 There are 345 words in all!! 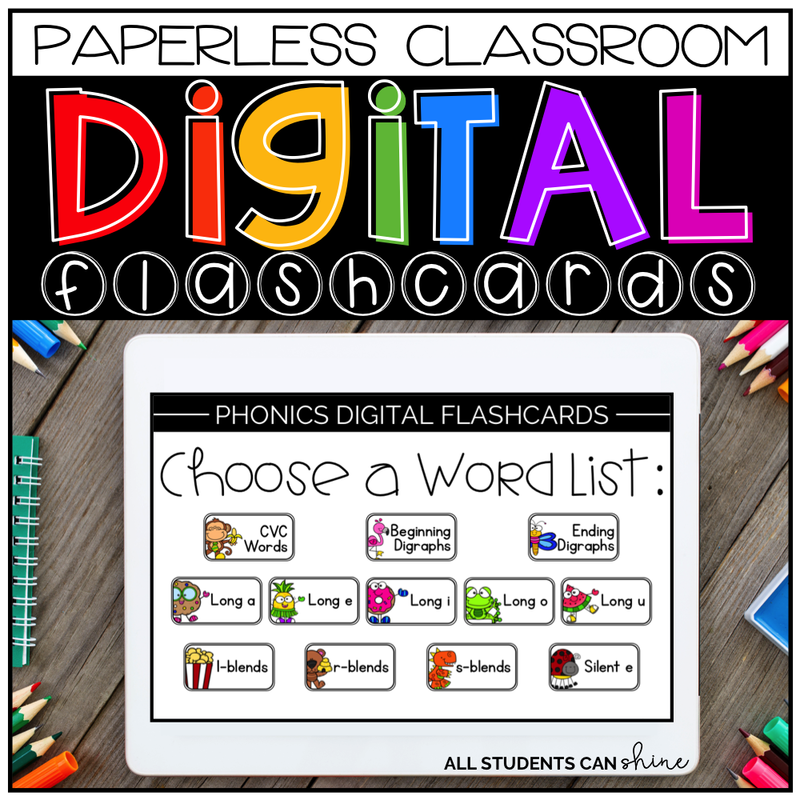 Grab your digital flashcards HERE!